Inonotus obliquus polysaccharide has strong activity for ameliorating chronic pancreatitis and a beneficial effect on gut microbiota. Inonotus obliquus polysaccharide regulates gut microbiota of chronic pancreatitis in mice. Polysaccharide is efficient in attenuation of metabolic ailments and modulation of gut microbiota as prebiotics. The therapeutic effect of Inonotus obliquus polysaccharide (IOP) on chronic pancreatitis (CP) in mice has been validated in our previous study. However, it is not clear whether IOP is conducive to maintaining the homeostasis between gut microbiota and host. The aim of this study is to testify the potential effects of IOP on gut microbiota composition and diversity in mice with CP. 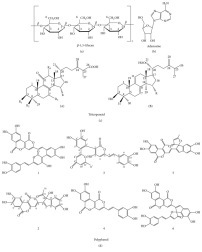 The changes in glutathione peroxidase (GSH-PX), total antioxidant capacity (TAOC), tumor necrosis factor alpha (TNF-α), transforming growth factor beta (TGF-β), lipase and trypsin levels were measured by commercial assay kits, meanwhile the gut microbiota composition and diversity were analyzed by high throughput sequencing. The IOP treatment increased GSH-PX and TAOC levels, and decreased TNF-α, TGF-β, lipase and trypsin levels in CP mice. It was also observed that gut microbiota in IOP treated groups were less diverse than others in terms of lower Shannon diversity index and Chao 1 estimator. IOP increased the proportion of Bacteroidetes and decreased that of Firmicutes at phylum level. Bacteroideteswas found positively correlated with GSH-PX and TAOC, and Firmicutes correlated with TNF-α, TGF-β, and lipase. In conclusion, administration of IOP could regulate gut microbiota composition and diversity to a healthy profile in mice with CP, and some bacterial phylum significantly correlated withcharacteristic parameters. Anti-diabetic effects of Inonotus obliquus polysaccharides-chromium (III) complex in type 2 diabetic mice and its sub-acute toxicity evaluation in normal mice. Polysaccharides are important bioactive ingredients from Inonotus obliquus. This study aimed to synthesize and characterize a novel I. obliquus polysaccharides-chromium (III) complex (UIOPC) and investigate the anti-diabetic effects in streptozotocin (STZ) induced type 2 diabetes mellitus (T2DM) mice and sub-acute toxicity in normal mice. The molecular weight of UIOPC was about 11.5 × 10 (4) Da with the chromium content was 13.01% and the chromium was linked with polysaccharides through coordination bond. After treatment of UIOPC for four weeks, the body weight, fasting blood glucose (FBG) levels, plasma insulin levels of the diabetic mice were significantly reduced when compared with those of the diabetic mice (p < 0.05). 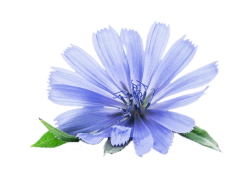 The results on serum profiles and antioxidant enzymes activities revealed that UIOPC had a positive effect on hypoglycemic and antioxidant ability. Histopathology results showed that UIOPC could effectively alleviate the STZ-lesioned tissues in diabetic mice. Furthermore, high dose administration of UIOPC had no obviously influence on serum profiles levels and antioxidant ability of the normal mice and the organ tissues maintained organized and integrity in the sub-acute toxicity study. These results suggested that UIOPC might be a good candidate for the functional food or pharmaceuticals in the treatment of T2DM. Inonotus obliquus polysaccharides may be a potential broad-spectrum antiviral drug against feline viruses. Identification of Inonotus obliquus polysaccharide with broad-spectrum antiviral activity against multi-feline viruses. Inonotus obliquus polysaccharides (IOPs) are a potential drug for the prevention and treatment of cancer, cardiopathy, diabetes, AIDs, pancreatitis and other diseases. In this study, we found that IOP can act as a broad-spectrum antiviral drug against feline viruses in the in vitro experiment. Using cell models of feline calicivirus (FCV), we demonstrated that IOP treatment was capable of exhibiting anti-FCV strain F9 activity in cell-based assays and also showed low cytotoxicity. Investigation of the mechanism of action of the compound revealed that IOP treatment induces its inhibitory actions directly on virus particles through blocking viral binding/absorpting. The inhibitory activity against other FCV isolates from China was also identified. More importantly, we found that IOP exhibited broad-spectrum antiviral activity against the feline herpesvirus 1, feline influenza virus H3N2 and H5N6, feline panleukopenia virus and feline infectious peritonitis virus that can contribute to respiratory and gastrointestinal diseases in cats. These findings suggest that IOP may be a potential broad-spectrum antiviral drug against feline viruses. Inonotus obliquus polysaccharides might be a potential anti-fatigue pharmacological agent. 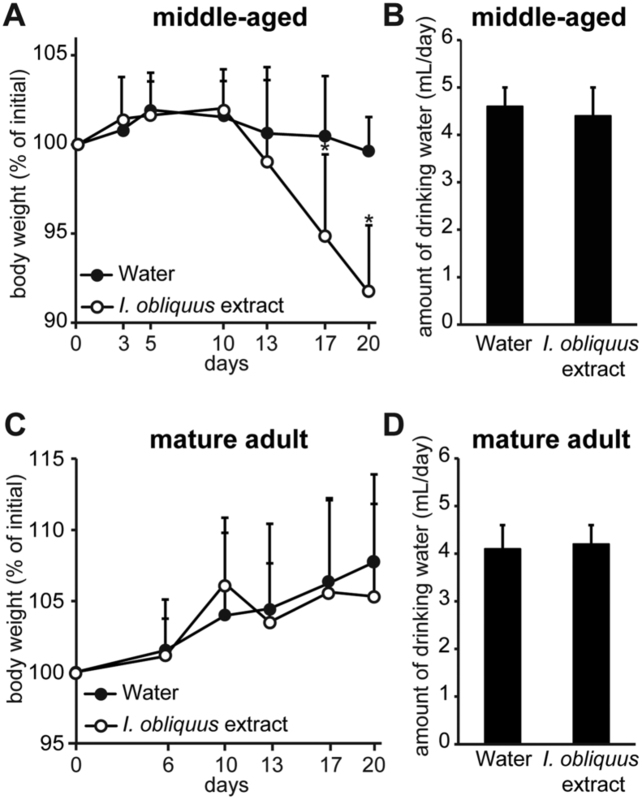 Effect of Inonotus Obliquus Polysaccharides on physical fatigue in mice. OBJECTIVE: To evaluate the potential beneficial effects of Inonotus obliquuspolysaccharides (IOP) on the alleviation of physical fatigue in mice. METHODS: Sixty-four male mice were randomly divided into four groups (n = 16 per group). Mice were orally administered IOP for a period of 14 days at 0, 100, 200 and 300 mg/kg/d, and were assigned to the control, IOP-100, IOP-200, and IOP-300 groups, respectively by the random number table method. Mice in the control group received an oral administration of sterile distilled water. A forced swimming test was performed for 8 mice per group at one hour after the last treatment. The other 8 mice in each group swam for 30 min. Blood, liver and muscle samples were taken after resting for 30 min. Levels of blood urea nitrogen and lactate, as well as glycogen contents of the liver and muscle were measured. Morphology of liver was observed by light microscopy. RESULTS: IOP extended the swimming time of mice, and increased the glycogen content of liver and muscle, but decreased blood lactic acid and serum urea nitrogen levels, IOP had no toxic effects on major organs such as the liver as assessed by histopathological examinations. CONCLUSION: IOP might be a potential anti-fatigue pharmacological agent. 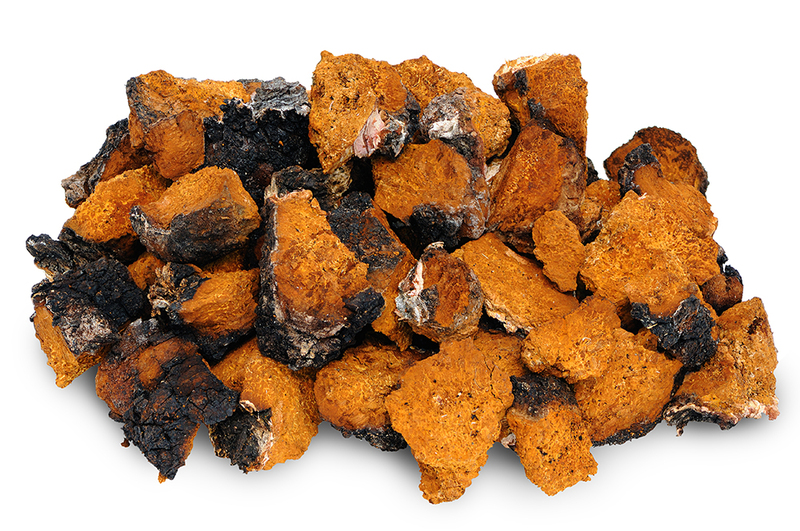 Continuous intake of the Chaga mushroom (Inonotus obliquus) aqueous extract suppresses cancer progression and maintains body temperature in mice. There are 183 on Chaga. Antifatigue Functions and Mechanisms of Edible and Medicinal Mushrooms. 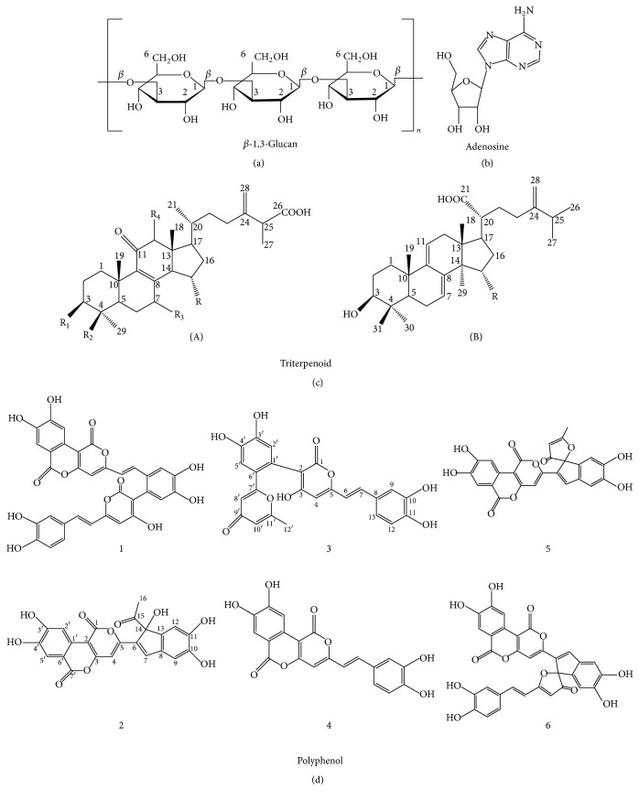 Interplay between thioredoxin proteins and GSNOR in controlling the biosynthesis of styrylpyrone during the nitrosative burst.. From: Regulation of Anticancer Styrylpyrone Biosynthesis in the Medicinal Mushroom Inonotus obliquus Requires Thioredoxin Mediated Transnitrosylation of S-nitrosoglutathione Reductase.